Ardbeg 10 . . . Ahhhhhh! Absolutely spot on @RianC, very evocative tasting notes! Nice review. This is one of the best “standard” or “entry-level” (I hate those words in the context that most people use them) whiskies on the market, imho. You definitely nailed it when you said it’s one of those malts which can make you smile ear to ear. Spot on. Thanks, Gents :) It definitely sets my bar for peated whisky, or just whisky in general - It's a belter! @RianC, thank you for your nice review. May we have the bottling date code, please? i.e. faint white numbers printed on the back bottom of the bottle, e.g.16/11/2015. There is such a lot of difference in batches of all whisky, and in particular of heavily peated whiskies, that many of us will or would do ten different reviews for ten different batches of the "same" named whisky. 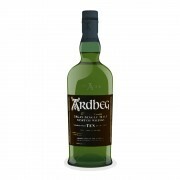 Many of us want to know exactly which Ardbeg Ten it is which you are reviewing. This is mostly for reference with respect to potential future bottle purchases. I can tell you that I've seen a lot of variation from one batch of Ardbeg anything to the next. Some are top flight; others are best to be avoided. @RianC, A very nice review. Welcome to Connosr. I have a hunch that we will be seeing a lot more from you ... looking forward to it. @Victor Many thanks! yes of course, I will endeavor to add such details from now on. It's my second bought bottle but have tried several over the last few years. I have heard of some less than tip top batches but seem to have been lucky as they've all been stand outs. Again, the aforementioned isn’t snobbish in and of itself, but it’s often presented that way. I belong to a scotch group on Facebook wherein a significant sub-section of members worship anything expensive. It’s ridiculous. Price doesn’t always correlate positively with quality. But I’m sure my fellow Connosr-ites know that. I agree that the language like "standard" and "entry level" can mean different things to different people. Is HP 12 entry level? A'Bunadh? Springbank 12 CS? Those and other bruisers are what I cut my whisky teeth on. @RianC, the date was not random, but of a bottling which I have reviewed. That bottling didn't start out at all well, to my mind, but has improved quite a bit with open bottle air exposure. 16/11/2015 is one I would use as an example of a bad bottling, actually. 17 months of the bottle open later that bottle is not bad at all, but is not one of the superstar batches, like, say, L 10 152 (old system of bottling codes which were changed about late 2014= 152nd day of 2010= June 1, 2010, IIRC). Actually, I think that you can sometimes get significant variation among bottles bottled even on the same day, though that would not be common. @OdysseusUnbound, I hadn't given much thought to the matter, but we are all just a bunch of 'ites here on Connosr, aren't we? @Nozinan, Highwood Ninety, no two ways about it. The white label surpasses the burgundy label by a couple of points. I wish I had a barrel of this stuff. @RianC great review. This is one of the malts that got me hooked on a peat obsession for years. @Frost Me too. It's the one that finally turned me onto peat about 10 years ago. Spot on review @RianC. BTW @RianC Is that a "scared affinity" you have for Ardbeg or a sacred affinity? Nothing to be scared of there is there? @Nozinan And also quite sacred to many of us. @Nozinan - Worryingly, I think I did . . . ha! Excellent whisky. Excellent value. Excellent bonus points for breathing like a dragon. In my mind, this is the whisky for peat-heads to stock alongside Laphroaig 10 CS. Ardbeg for when you want something zippier, Laphroaig for when you want something heavier.